Camille Lons is a Programme Coordinator with ECFR's Middle East and North Africa Programme. Her topics of interest include the politics of the Gulf region and security cooperation. Lons previously conducted field research on the spill over effects of the Syrian conflict for local NGOs in Jordan and Lebanon . She divides her time between the ECFR London and Paris offices. Camille Lons participated in a debate of RFI regarding the Khashoggi affair. Camille Lons is quoted by Le Matin regarding Yemen peace talks held in Stockholm. 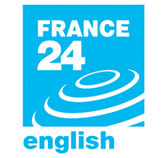 Camille Lons participated in the debate of France 24 regarding Yemen negociations. Camille Lons is interviewed by 20 minutes regarding the Khashoggi affair. Camille Lons is interviewed by France Inter regarding the killing of Khashoggi. Camille Lons is interviewed by RTS regarding the Khashoggi affair. Camille Lons is interviewed by France Info regarding Khashoggi's killing. Camille Lons is interviewed by Mediapart regarding the disappearance of Khashoggi. Camille Lons is quoted by l'Orient le-Jour regarding the Khashoggi affair.